Reserving your Mini Pack is as easy as ever, choose one (1) of our great options below to purchase your Mini Pack online. Become a Mini Pack Holder today by purchasing online, calling our Front Office at (479) 927-4900 or by emailing us at tickets@nwanaturals.com for more information. Available Mini Packs include: Friday-Sunday Pack; Weekend Plus Pack; Fireworks Pack; Saturday Pack; Thursday Pack; 8-Game Pick-A-Pack; Family Pack. Full payment is due at time of purchase. 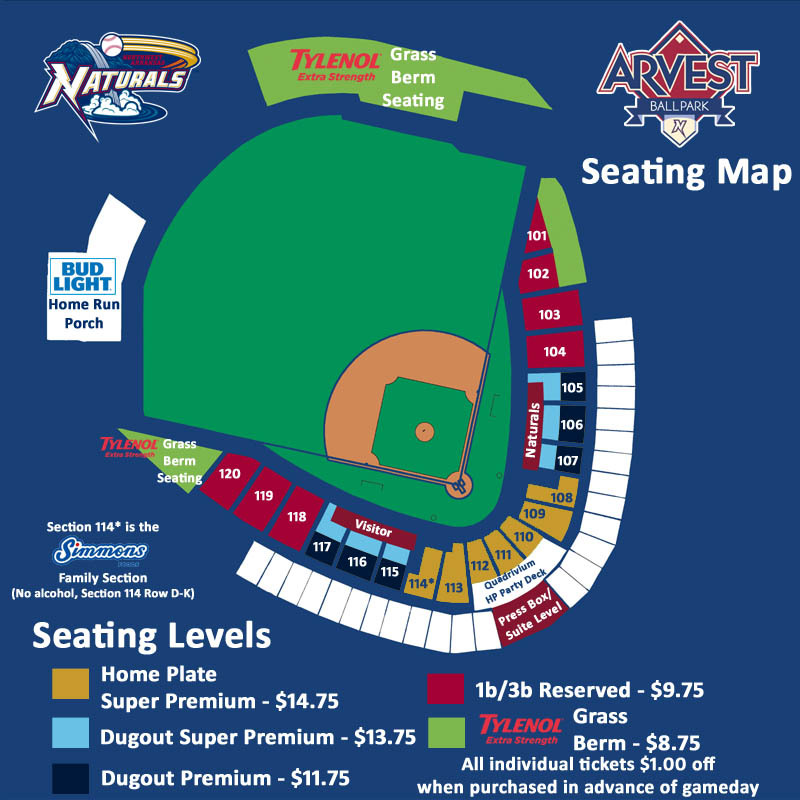 Once your order has been submitted, your personal Naturals Account Executive will contact you with more details on the upcoming season and when you'll receive your tickets. It's the BEST DEAL EVER OFFERED with OVER $2,200 IN SAVINGS!